Most of us would probably drive super carefully after picking up a new car, however much it costs. But not Vaughn Gittin Jr. 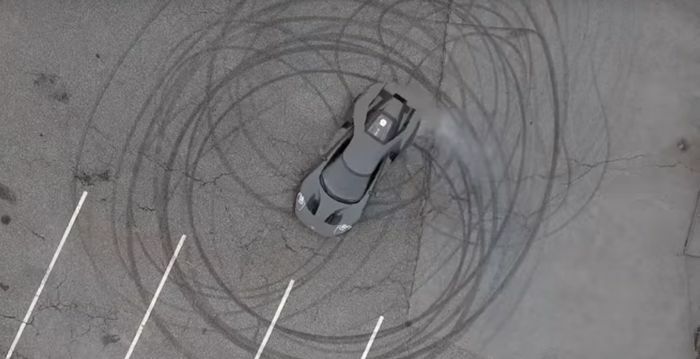 The Formula Drift Champion had his brand-new Ford GT delivered, and immediately set about adding massive black rings to his parking lot. 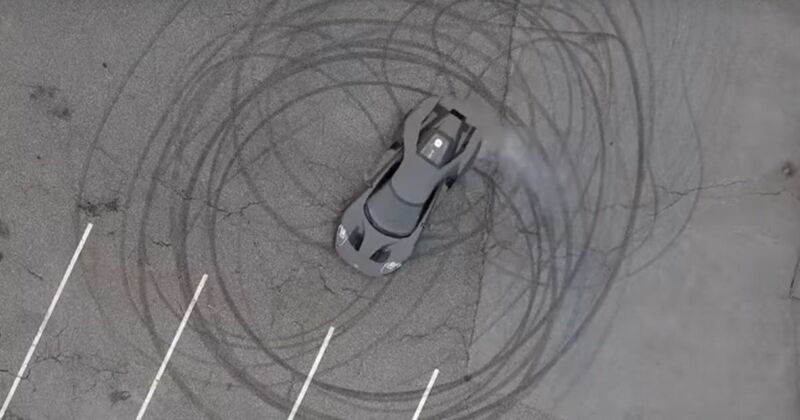 He had posted up a short clip of the tyre slaying earlier this year, but now Ford Performance has released these two longer videos that give a closer look at the car. The spec of it is unlike most other GTs. There aren’t any stripes, which is rare, and the paint colour is a reserved (but brilliantly named) Lead Foot Gray. It’s almost like he wants to blend in – this spec won’t be the first choice for those Instagram supercar pages. You wouldn’t choose this spec for a garage queen, but luckily Gittin Jr.’s GT won’t spend all its life cowering from the outside world. He’s keen to drive and enjoy it regularly, and even plans to share what it’s like to own this supercar as often as possible. Whether that means he’ll chuck us the keys so we can have a hoon, we’re not sure. The Ford GT’s ironically named EcoBoost engine produces chunky power figures – 647bhp and 550 lb ft of torque. Combined with the brutally focused aerodynamics and the hydraulic adjustable suspension, the GT is good for a vmax of 216mph.